Once a week at least, I get a thin airmail envelope in our post box. The flatmate pouts; she gets bills and magazines she has to pay for. I know these letters are from Granny because she is the only person who still uses these letters – one side of A4 that folds into an envelope edged with red and blue. She has been writing since before I could read. Her most recent thank-you letter arrived in record time, on the Tuesday morning after the Sunday supper we cooked for her. If I’m lucky, she includes stories about the war, on firewatch at the Bodleian, about farm school, about my father’s nursery in the larder. She normally tells me which roses are flowering in the garden, which of a dozen books she is reading. She is an excellent correspondent. I am lacking in comparison – but I hedge my bets. I send enough postcards and short missives to various people in various countries that each week someone is guiltily prompted to write back. All colours of envelope, stars, pictures, once a mix CD. Epic tales of warthogs in Africa. I am lucky. It is a simple thing, to send a letter or a card, but incredibly joyous to rip open an envelope on the way up the stairs. All that syrupy nostalgia to say: buy my stuff! Ahem. 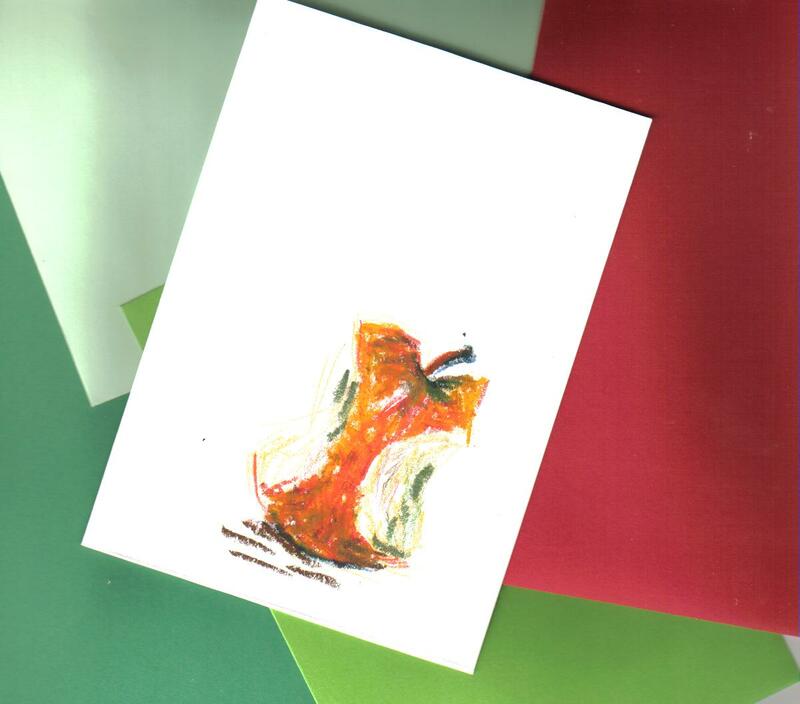 Purchase a few humble but colourful cards, send them to friends and family, make someone smile. Send them to me, even! Bonus: I have to post the cards to you, so you also experience the joy of receiving mail! 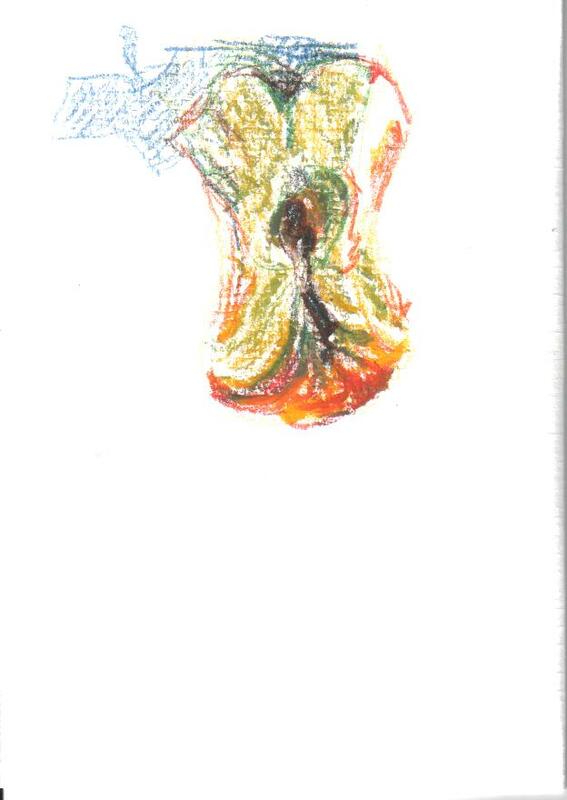 One of a kind oil pastel sketch on thick A4 paper. 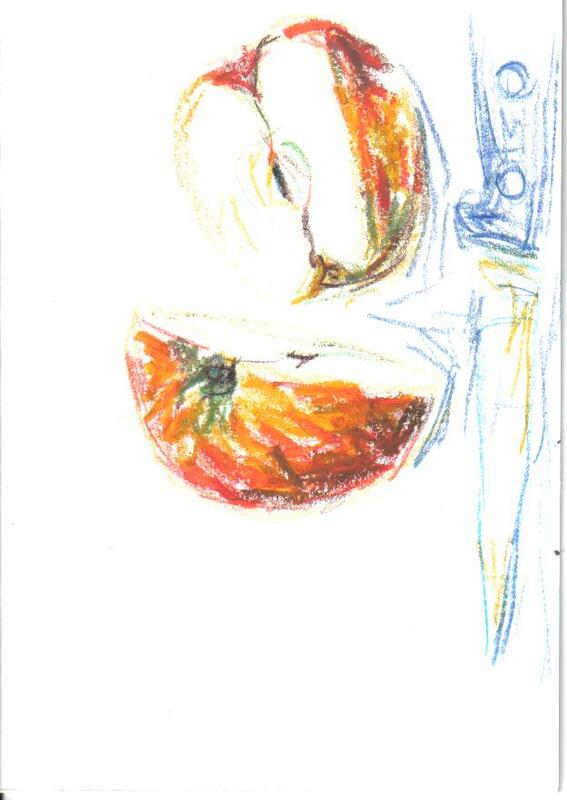 Will draw any fruit, vegetable or teapot requested. How wonderful that your Granny can still write to you .. treasure the letters and times together! !She must love the fact that you can all cook an excellent supper for her …you are lucky to have her ..
Thank-you. Likewise, love to you all!